No matter what I do, I can't get LEM fixtures to output light in ProWalker GPU. They render in Podium no problem. Using the latest build and the LEM slider does nothing on any of the modes. What am I missing? I've also tried different light fixtures, to no avail. Just made my own 2x4 drop-in light and the LEM material is emitting light at should. Perhaps there are some outdated components in the browser? I tried multiple components that had this problem. If you are using some of the LEMs from Podium Browser Materials category, some of these are Podium hidden LEMs. ProWalker does not support hidden LEMs at this point. Is that a possibility? Can you give us an example of a specific fitting that doesn’t work? I tried exploring the component with the Light Fixture Outliner but all it was doing for me was showing the material in the sketchup tray, not the podium materials properties dialog. It's not actually isolating anything in the component. 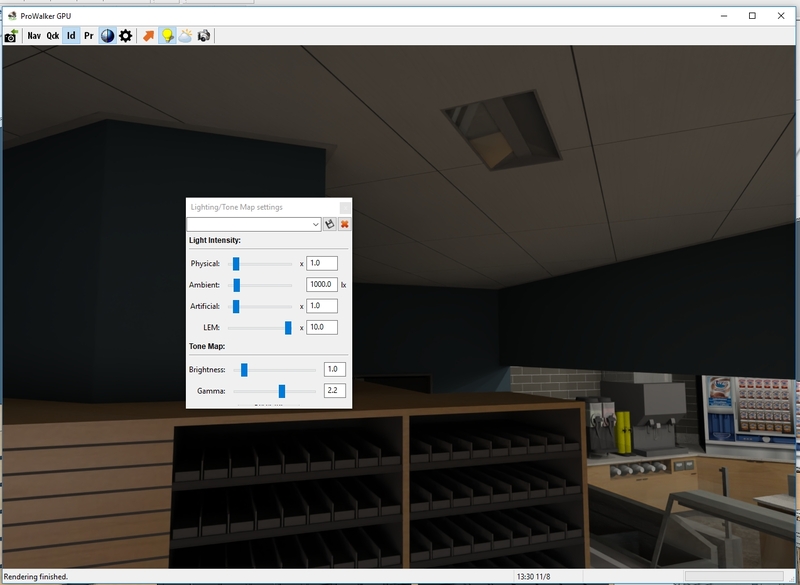 That light fitting has an LEM with Diffuse 100 and Transparency 100, which is a problem in terms of configuration. In that fitting, the narrow central vertical strip has the LEM applied. It really needs to have Diffuse 100 and transparency 0 or vice-versa. I'll bet that's the problem. The Light Fixture Outline doesn't handle and isolate LEMs, just spot and omni lights.